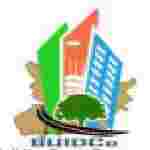 BUIDCO recruitment 2018 notification has been released on official website www.buidco.in for the recruitment of total 16 (sixteen) jobs out of which 01 (one) vacancy for Project Director, 13 (thirteen) for Deputy Project Director & Various Vacancies. Job seekers should apply on or before 20th January 2018. Here on this page you will get the details like the Name of vacancies released by BUIDCO with exact number of posts. Some other criteria like Education details, application fee and way to apply application for BUIDCO recruitment 2018. Educational Qualification: Graduate Engineer Civil working with Govt. of Bihar with 10 years experience in Infrastructure Development works for S.no-1. Graduate in Civil Engineering with 05 years experience in Infrastructure Development works for S.no – 2. Fee charges: Applicants who wanted to participate for BUIDCO should pay the below charges through Demand Draft of National Bank to the favour of Managing Director of BUIDCO. Interested and eligible aspirants may apply in prescribed application form along with attested copies of relevant documents, two recent passport size photographs send by registrear post/speed post/currier to Bihar Urban Infrastructure Development Corporation Limited (BUIDCO), # SFC Building, 2nd Floor, Daroga Prasad Rai Path, R. Block, Road No. – 2, Patna – 800001 on or before 20.01.2018.